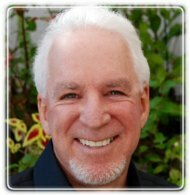 Los Angeles Therapist: Gary Brown - Therapist 90024. Are you having problems in your relationship? Do you struggle in your marriage? With living together? Dating? Is your family struggling? Have you experienced a recent trauma? Are you having difficulty making a major decision? Is all of this leaving you anxious, sad, frustrated, and confused? Dr. Brown is a licensed psychotherapist who has been in private practice for over 25 years. Both current and former clients report significant benefits as a result of their work with him, including a greatly enhanced ability to resolve conflicts; better communications; more fulfilling relationships; and an overall increased quality of life in general. While he always welcomes the fact that other healthcare providers routinely refer their patients to him, he especially appreciates the fact that his clients also refer their own family and friends. Dr. Brown strongly believes in a client-centered approach. It's about you and what you need. Despite his advanced degrees, his clients report that his personal style is very relaxed, approachable, welcoming, and down-to-earth. He knows that counseling can be challenging and scary at times. With this awareness, he is utterly devoted to helping people feel that they are safe when in his presence. He customizes the work he does to fit the specific needs of his clients. This is because he does not believe in a one-size-fits-all approach. He recognizes that each person is unique and that is whey he is trained in multiple treatment modalities. An experienced therapist, he also enjoys mentoring and supervising new and emerging therapists. Dr. Brown works extensively with Individuals, Couples, and Families who sincerely want help in their relationships. He particularly enjoys helping his clients who truly want to work as they navigate the various phases of life including adolescence; the early stages of young adulthood including education, career issues, dating, and courtship; as well as engagement, marriage, pregnancy, parenthood, and other issues that people encounter in life. His clients are diverse and come from all walks of life. He specializes in providing evidence-based strategies and techniques including traditional as well as cutting-edge. Dr. Brown is frequently sought out by the media for his expertise in human relationships. He has been interviewed for over 125 articles in 50+ publications. If you would like to know more about Dr. Brown during your search for a therapist, you are invited to contact him to schedule a free 15-minute telephone consultation to see if he is a good fit for what you need.